In Gone Home, the year is 1995 and you play Katie, the youngest daughter of the Greenbriar family. You've returned home after a year studying abroad in Europe only to discover that your family's mansion is mysteriously empty. On a dark and stormy night, you enter the house and begin piecing together what happened. 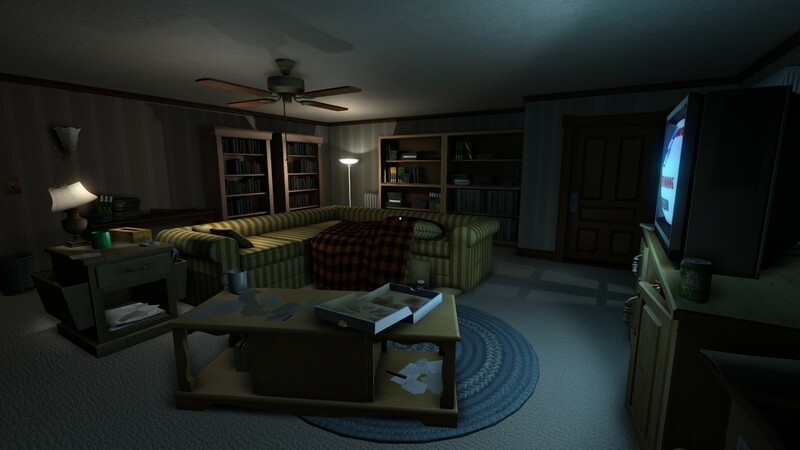 Gone Home is a first-person "story exploration game" about discovering the truth behind your missing family. The truth of the mystery is revealed through exploration of the house and discovering clues within it. It is a highly unconventional and emotional journey, more so than almost any game I've experienced before. Gone Home is as experimental as it has been successful, winning multiple Game of the Year awards and being called a "masterclass in how to tell a personal, affecting story in a video game." I agree with that statement and found this to be one of the most emotionally engaging video games I've ever played. In the gaming industry, the words first person are always succeeded by the word shooter, but not in this case. Within the first person genre, it defies all conventions. I would love to go into greater detail about what this game is instead of what it's not, but that would risk revealing the surprise. There are no experience points to gather, nor abilities to unlock. There's a mansion to explore on a stormy night, filled with mysteries and clues. It is brooding and atmospheric, but not any other game that I've played before. 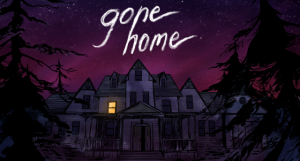 In fact, because Gone Home eschews so many conventions of video games, it often feels more like an interactive book than it does a video game. It's entirely story driven and there is virtually no gameplay to speak of. But the game is fundamentally about being a teenager and the life experience that that comes with: in this game, principally the desire for acceptance and fear of alienation, and complicated relationships with family members. This is one of the most fulfilling games that I have played and I wholeheartedly recommend it to everyone. It can be finished in about two hours, and there is no reason to not play this game, especially since it runs on Mac and PC. I haven't had a Windows computer in years, so this is a big deal for me. The success that Gone Home has achieved renews my confidence in a future that includes games as a legitimate art form.